WSBK round eleven -The ‘Circuit de Nevers Magny-Cours’ | B.I.R.D. Discussion in 'The Sports section' started by KUCIAR666, Sep 26, 2017. 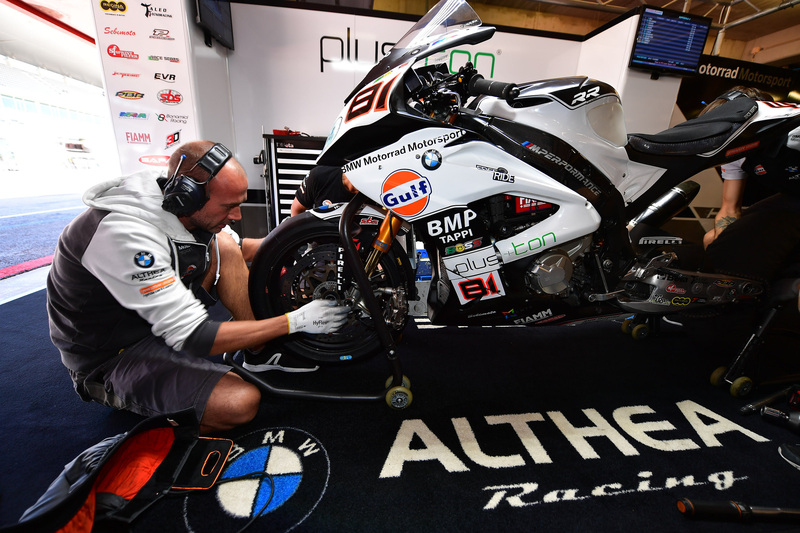 The ‘Circuit de Nevers Magny-Cours’ is the next destination for the Althea BMW Racing Team, which travels to the French track for round eleven of the 2017 Superbike world championship, taking place this weekend. Ten days ago, the Italian squad was on track at Portimão, in Portugal, a tough, technical track where Torres closed race 2 in fifth place and De Rosa crossed the line in eleventh position in race one. 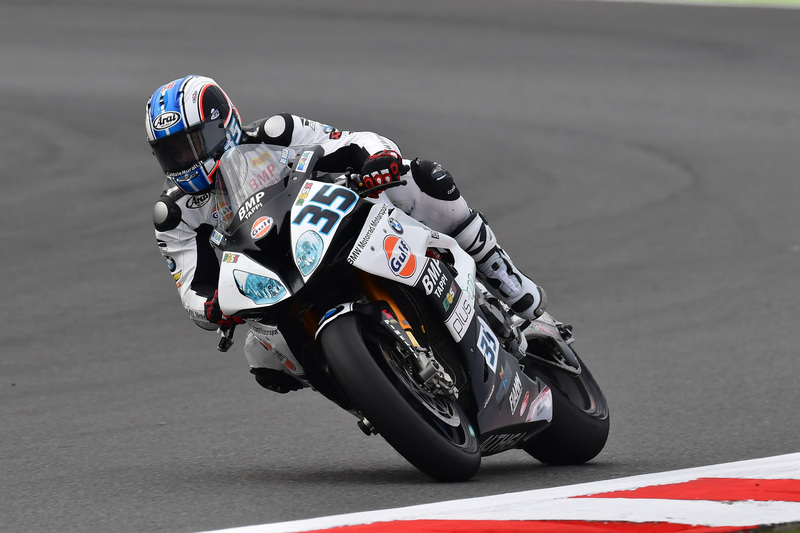 The two Althea BMW riders currently lie ninth and seventeenth respectively in the general standings and would like to score as many points as possible over the final three rounds, starting at Magny-Cours. The Magny-Cours track is located in the heart of France, in the Burgundy area, roughly 250 km from Paris. With the SBK round often taking place during the autumn period, the weather conditions regularly play a key role. Last season, Torres’ achieved a best result of seventh in SBK, while De Rosa reached the podium, third in the Stock1000 race. SBK RECORDS: Best lap – Sykes (Kawasaki) 1’37.864 (2016). Superpole – Sykes (Kawasaki) 1'36.366 (2014). 2016 SBK RESULTS: Race 1 - 1. Davies (Ducati); 2. Van der Mark (Honda); 3. Sykes (Kawasaki). Race 2 – 1. Davies (Ducati); 2. Rea (Kawasaki); 3. Sykes (Kawasaki). The Kawasaki Racing Team is about to head into one of the most important rounds of the 2017 FIM Superbike World Championship season with Jonathan Rea hoping to be crowned champion - for an unprecedented third time in succession - while his recently-injured team-mate Tom Sykes is looking to extend the championship fight beyond the limits of the French round. Thanks to his fourth double win of the year, last time out in Portugal, Jonathan Rea enters the third-to-last round of the championship at Magny-Cours this weekend with a 120 point championship lead over his own team-mate Sykes. If he records two solid results in France on his Ninja ZX-10RR Jonathan will take a historic third championship in just a few days’ time, with two events remaining in the 13-round season. 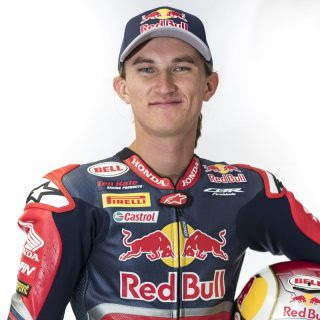 Tom seriously injured his left little finger and radius in a practice crash at the previous round in Portimao and he will have to will undergo medical checks at Magny Cours before being cleared to ride. If passed fit he will take to the track on his official Ninja ZX-10RR on Friday to begin the defence of his championship challenge in Saturday and Sunday’s races. After such a remarkable 2017 season so far, a campaign in which the official KRT riders sit 1-2 after ten rounds and have shared 13 wins between them, the biggest story of all may well unfold at a track that is no stranger to significant occurrences in WorldSBK history. The French event is the 11th round of the season and will be held between 29th September and 1st October. Magny Cours has held 15 previous WorldSBK events, 14 of them consecutively since the 2003 season. It’s been very disappointing news. After crashing out of race one at Portimão, the x-rays showed no sign of injury but the pain was strong. I went back home to do some more tests and get different opinions by several doctors to finally find out what was wrong with my right wrist. I did MRI and CT scans this morning and it looks like I will undergo surgery this Thursday. Unfortunately this will mean that I will have to sit out the race at Magny-Cours, which again it’s very disappointing, but it is something that needs to be done because right now I cannot use my wrist. Hopefully we will soon have some better news. First of all I would like to wish Stefan a speedy recovery: I’ve been there before and it’s never nice to have stay away from racing due to injury. Obviously I would like to thank Honda and the team for the opportunity to come back and get a second shot at World Superbike. Laguna Seca was a dream come true for me, and the knowledge and experience I gained from the team throughout that weekend was massive. It will also be nice to have some experience with this version of the Fireblade going into FP1. Magny-Cours is a completely new track for me but I look forward to the challenge of racing on a new circuit and continuing to learn and grow. I have also never been to France, so it will be an exciting week! We are really sad that Stefan won’t be able to race at Magny-Cours. We feel that we had made some good progress at Portimão and things seemed to be going in the right direction. Unfortunately, the crash turned out to be more damaging than how it first looked, so we now wish him a speedy recovery so that he can get back in the saddle as soon as possible. The decision to replace him with Jake at Magny-Cours is quite a simple one: he did well in Laguna with us and he knows the team, so we are happy to welcome him back. The weather always seems to play a part at Magny-Cours and last year was no exception. In a wet Race 1, British rider Lowes finished in 11th after having to pit to change tyres in the drying conditions and then crossed the line in 19th in Race 2 after crashing and valiantly re-joining. Loweshopes that the conditions will be better this time around but will be ready for anything in France, although he has still not fully recovered from his huge highside in Race 2 at the last round in Portimao. The 27-year-old miraculously escaped any major injury, but is still feeling battered and bruised, and managed to complete almost 50 laps in Monday's official test at Portimao. Despite the discomfort, Lowes (169 points) is determined to return to the form that has seen him on the podium twice in 2017, at Donington and Misano, as he battles to secure fifth overall in the championship standings with three races remaining. 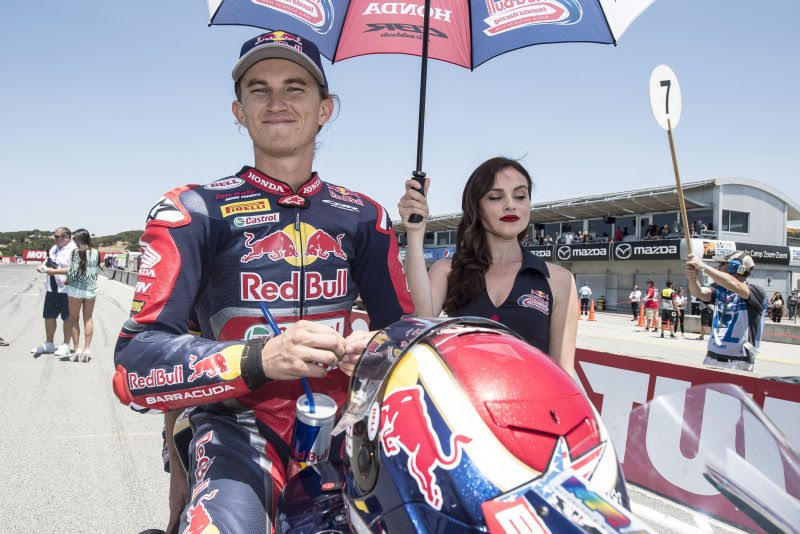 The Dutch rider is looking forward to getting back to racing in WorldSBK after spending the weekend in the media spotlight at the Aragon GP as the replacement rider for Movistar Yamaha MotoGP's Valentino Rossi, with van der Mark not called into action in the end. 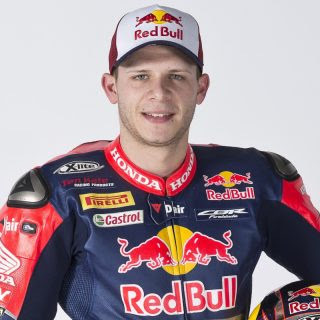 He is currently sixth in the WorldSBK Championship standings with 166 points, just three points behind his teammate Lowes and ten points ahead of Xavi Forés in seventh. The Pata Yamaha WorldSBK Official Team will take to the track on Friday morning at 9:45 am local time for Free Practice 1, with Saturday's qualifying starting at 10:30 am and Race 1 at 13:00 pm, while Sunday's Race 2 is also scheduled for 13:00 pm. "I'm excited for the Magny-Cours weekend! I have been working hard to get back to good fitness, after the injuries I suffered at Portimao. I am still feeling pretty sore from my Race 2 crash, so I won't be quite 100%, but I'm determined to be at the best level I can be. In terms of the track, it's quite a technical one with some, faster, flowing sections and also some slower parts. The weather always plays a part in France too, so I'm looking forward to facing the challenge head-on and getting the best results possible." "I cannot wait to get back on my Pata Yamaha R1 at Magny-Cours! It is a circuit I really like and I think it will really suit the characteristics of the R1. Portimao was a good weekend for me and it was great to get my first Yamaha podium, which is the least the team and Yamaha deserve after all their hard work this season. A result like that can give you confidence, as you know you belong on the podium, plus we worked on a few things at the test that, we believe, mean we can arrive at most tracks with a good base setup and hit the ground running on Friday's. After everything that has been going on, I am looking forward to getting back to business at Magny-Cours and, as always, I will give it my all!" 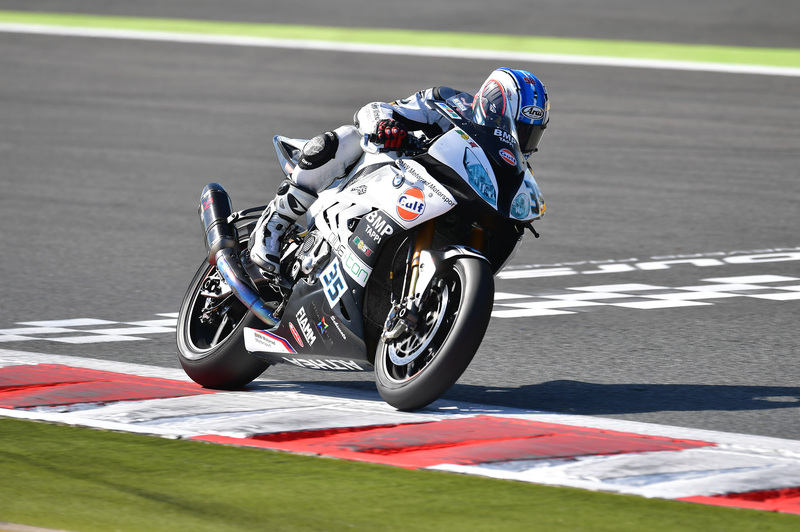 The Althea BMW Racing team is on track at Magny-Cours, in France, for round eleven of the Superbike World Championship taking place this weekend. At the end of a busy first day of track action, riders Jordi Torres and Raffaele De Rosa concluded the first two timed practice sessions in twelfth and thirteenth place respectively. In the morning’s first practice, Torres and De Rosa took advantage of the dry conditions as they started to work to set up their BMW bikes and adapt them to the French track. At the end of the 60-minute session, Jordi was lying ninth (1’38.799), Raffaele fifteenth (1’39.819). Back on track later in the day for the second timed session, Torres was able to lower his time slightly in the latter stages, closing with a best of 1’38.702 that put him in twelfth place overall. De Rosa improved on his time almost immediately, before continuing to make progress throughout session two, to finish thirteenth, right behind his team-mate, with a fastest time of 1’39.205. Both Althea BMW riders will therefore take part in tomorrow’s Superpole1. The eleventh Round of the 2017 FIM Superbike World Championship got underway today at Circuit de Nevers, Magny-Cours, with Red Bull Honda World Superbike Team’s Davide Giugliano and Jake Gagne 15th and 21st, respectively, in the combined times of today’s two free practice sessions held at the venue located in the heart of France. Both riders will therefore take part in tomorrow’s Superpole 1, which will begin at 10:30 local time (GMT +2). Today Davide Giugliano turned a wheel at Magny-Cours for the first time since 2014, having been sidelined from the French round for the last two years in a row due to injury. After taking part in the post-race official test at Portimão less than two weeks ago, the 27-year-old Italian had to try out the characteristics of the Honda CBR1000RR Fireblade SP2 machine on a very different racetrack, which requires a totally different set-up. 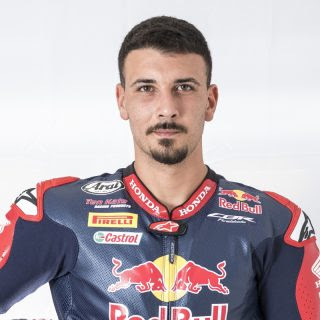 After suffering a low-speed crash at Turn 5 (Adelaide) in the second half of FP2, Giugliano set his fastest time of the day in the last outing before the chequered flag. After arriving in France for the first time two days ago, Jake Gagne spent the entirety of today’s track-time learning his way around the challenging and slightly undulating 4.411km French venue. The 24-year-old from San Diego made some progress in the afternoon session and was the most active rider on track with 52 laps completed throughout the day. It’s been quite a positive day for us: we tried some new stuff that I liked a lot. It’s a pity that on my very last lap I made a couple of mistakes which cost me at least half a second, but the feeling is there with the bike already and that’s the most important thing. I’m starting to feel the bike as my own and that’s without a doubt a confidence boost for me. We’ve worked really hard today and we are planning on making another adjustment for tomorrow, which hopefully will further improve our performance. We’re aware that the weather might change tomorrow but we are working in the right direction so we can look forward to whatever the weather does. It’s nice to be back on this Fireblade after a little while. It has been a positive day: we kept making progress lap by lap and I’ve been out on track a lot. I was able to learn a lot about more about the bike and find my way around the track. I also had to learn how to use the Pirelli front tyre a bit better and try to brake a bit harder. This track requires a very precise riding style – there’s not much room for error – but we made little steps forwards here and there and generally speaking my feeling with the bike has improved. The weather looks a bit crazy for tomorrow, so we’ll see what happens! It has been a busy day today on both sides of the garage. Davide worked hard with the crew on a track that is really different from Lausitzring and Portimão. From his comments, it’s clear that he has improved his feeling with the Honda CBR1000RR Fireblade SP2, although it hasn’t translated in competitive lap times yet. We are confident he will be able to improve his performance tomorrow. Jake did a massive amount of work on track: Magny-Cours is not an easy circuit to learn but he has improved in each sector over the course of the day. He now needs to put a strong whole lap together. Kawasaki Racing Team riders Jonathan Rea and Tom Sykes had successful opening days at the French round of the 2017 FIM Superbike World Championship season, with Rea fastest of all and Sykes finishing tenth in qualifying, despite suffering a recent left hand injury. After the first dry and relatively warm day of action at the 4.411km circuit of Magny Cours championship leader Rea headed up the field by 0.439 seconds, completing both FP1 and FP2 sessions at the top of the timesheets. Rea’s strong performance on the Ninja ZX-10RR made for an ideal start to what could be a unique and historic race meeting in France. On Saturday, in the first 21-lap race of the weekend, Rea will have his first arithmetical chance of lifting the 2017 championship crown. If he does, he will become the first rider in the 30-year history of WorldSBK racing to win three titles in a row. The closest title challenger to Rea as it stands is his team-mate Sykes, who returned to action today after a whirlwind few days of surgery and then recovery from finger and hand injuries suffered in FP3 at the previous round in Portugal. With his injuries being suffered just less than two week’s ago Sykes’ recovery both off track and the free practice sessions have delivered instant results. He has qualified directly into Superpole 2, the results of which will determine the final leading grid positions for Saturday’s first race of the weekend. At this point in the championship Rea leads Sykes by 120 points, so if results go his way in race one he could be crowned champion as early as tomorrow. Jonathan has six opportunities in all to be able to make sure of another title win before the season finishes in Qatar in November. For Rea, Sykes and all the WorldSBK riders the immediate question is what kind of track surface they will experience on Saturday, as rain is predicted to take over from today’s dry and sunny conditions. The Pata Yamaha Official WorldSBK Team enjoyed a superb Friday under the Magny-Cours sun at round 11 of the 2017 FIM Superbike World Championship, with both riders making it through to SP2. After showing good pace in the morning, Michael van der Mark put in a stunning late charge in FP2 to end the day in second overall on the timesheets. His teammate Alex Lowes also impressed, setting a good pace and demonstrating excellent consistency to finish in eighth on a day where less than 0.3s separated the riders in second and tenth positions. The sun was out with temperatures hitting 27°C on Friday at the Circuit Nevers de Magny-Cours and van der Mark - fresh from his maiden Yamaha podium at Portimao - wasted no time getting down to work in FP1 after finding a new base setting with his Pata Yamaha R1 at the recent official test. Finishing the morning's session in seventh with a best time of 1:38.548, less than 0.7s off the top, filled the 24-year-old Dutch rider with confidence and in the afternoon's FP2 session he managed to make another step with his team. Heading out on a fresh set of tyres in the dying moments, he improved spectacularly on his penultimate lap by over 0.5s to set a 1:37.928 to secure second on the combined timesheets, 0.439s off the pace of Jonathan Rea. 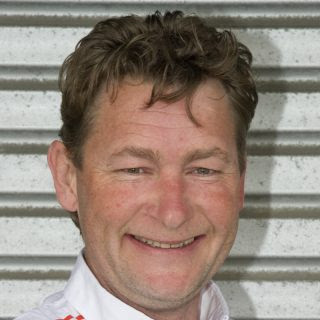 Unfortunately, the weather forecast for the rest of the weekend is wet but, even so, van der Mark is feeling confident that he can perform whatever the conditions throw at him. Lowes also rode superbly on Friday and showed no ill-effects of his crash at Portimao, despite not being at 100%. The 27-year-old British rider hit the ground running in FP1, setting a 1:38.320 to finish in sixth, just 0.471s off the leader. In the afternoon, he put in a race simulation and showed incredible consistency as he reeled off 11 consecutive laps in the low 1'39s and collected some valuable data for the team. Towards the end of the session, he pitted for some fresh rubber and went back out to improve to a 1:38.133 to finish the day in eighth overall, happy with the work done. The time was made even more impressive by the fact Lowes set it on his own at a track where a "tow" seemed to benefit other riders, with his time just 0.205s off the pace of his teammate in one of the closest sessions of the season. The Pata Yamaha Official WorldSBK Team are back in action for FP3 on Saturday morning at 8:45 am local time, with qualifying due to start at 10:30 am and Race 1 scheduled for 13:00 pm. Check out the combined Friday results. "I am really happy! This morning we started quite strong and we improved lap by lap. I was feeling better and better, then we changed something on the front of the bike and we made another step, which was good enough for P7 this morning. For FP2 we didn't try anything at the start because the temperature had risen dramatically and we wanted to see what the track was like. After my first run we tried out a different rear spring and tyre options, but it wasn't really an improvement. Towards the end, we went the other way and then I went out on a new set of tyres and made a really good lap time, so I am happy. I am P2, but everyone is so close at the moment. I am happy we are in SP2, but it looks like rain tomorrow so we will have to start again!" "I am happy with my pace, I think some guys got a decent tow, which makes my time even better in an amazingly close session. I think we've done a good job today, my feeling with the Pata Yamaha R1 was okay. The issue for everyone is that it was nice and dry today, but the rest of the weekend is forecast to be wet, so we might have to start again tomorrow. I am feeling good and will give it everything no matter what the weather!" 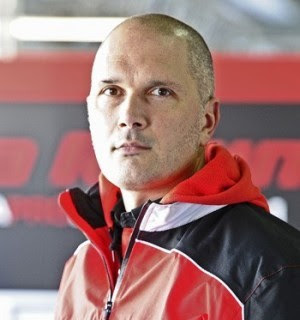 "It has been a surprisingly nice day weather-wise in Magny-Cours which has allowed all of the WorldSBK teams to work hard and to show a very competitive pace. Aside from Jonathan Rea having a bit of a gap at the front, the rest of the top ten is incredibly tightly stacked both in terms of their best lap time and also their race pace. We had a good day's work for both riders, lots of laps and when it mattered both Michael and Alex put their heads down to secure their slot in SP2. Alex is still in some discomfort after his Portimao crash, but isn't allowing it to affect his potential, and completed a near race distance run in FP2 with extremely good consistency. That always helps when it comes to building performance for the race weekend. Michael and his crew used the new base setting that they found in the Portimao test and it is encouraging that the setting worked quite well, with some adjustments, from the start here in Magny-Cours. After a very solid FP1, it was great to see Michael and the R1 top the day off with P2 right at the end of FP2. The weather forecast does not look great for tomorrow, it well may be a case of "start again", but nonetheless today has been a good introduction for the Pata Yamaha team to the Magny-Cours event." 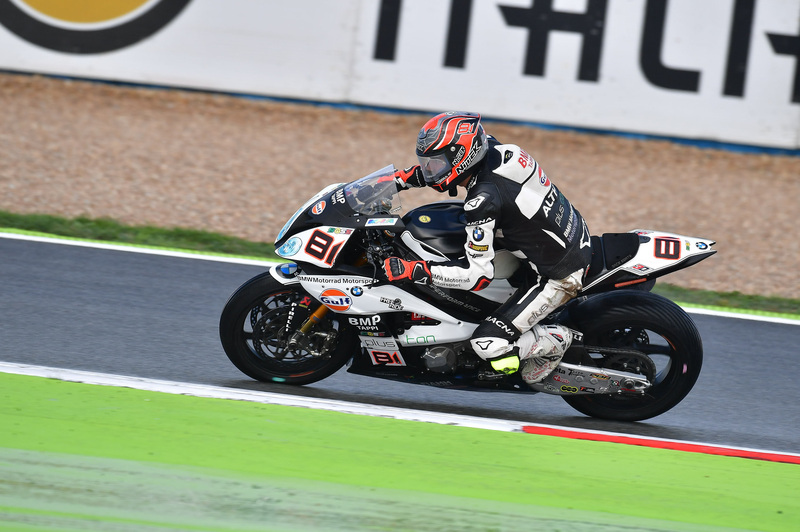 On track this weekend at the Magny-Cours circuit in France, the Althea BMW Racing team concluded the first Superbike race, on a wet track, in thirteenth place with De Rosa and fourteenth with Jordi Torres. Superpole 1 - riders faced wet conditions during today’s Superpole. Both Torres and De Rosa were both out in the rain for this first phase. De Rosa made six laps, the fastest of which was his last, completed in 2’04.718, which placed him ninth at the session’s end. Struggling to build confidence in the difficult conditions, Torres unfortunately crashed four minutes before the end of the session. He was able to continue but without improving any further on his times, thus closing in tenth place. Both Althea BMW riders therefore qualified on row seven of the grid for race one. SBK - Race 1: with work to do, from 19th and 20th on the grid, De Rosa and Torres hoped to do well in this first race despite the wet track. Making up a few positions over the first two laps, they were lapping ‘together’ in 16th and 17th place. Unfortunately, the pair lost ground during the first half of the race, struggling to find the rhythm needed to catch those ahead of them, separated by several seconds and perhaps more confident in the tricky conditions. In the final phase though, on a gradually drying track, the two Althea BMW riders upped their pace, earning a further three places apiece to cross the line in 13th (De Rosa) and 14th (Torres) position. Giugliano got an OK launch off sixth place on the grid and, after a few laps needed to adjust to the drying track conditions, he settled into a nice, consistently improving rhythm which allowed him to catch and overtake his former teammate Chaz Davies on lap 14. After losing one place to Laverty five laps later, the 27-year-old Italian managed to maintain eighth position up to the chequered flag. Courtesy of today’s result, Davide will start race two tomorrow from the middle of the second row (fifth place). It has been a positive race. We had good pace for the full 21 laps and we were able to improve all the way to the chequered flag. It was my first time riding the bike for more than a few laps in wet conditions so there were some things I needed to understand first before I could start pushing harder. The team did a great job in translating my comments and the data into appropriate changes to the bike set-up. Obviously there is still room for improvement, but for a first wet race I’d say it hasn’t been a bad one at all! It was my first race in wet conditions with this bike and Pirelli tyres, so again there was a lot to learn for me. I’m happy with how I was able to improve my pace lap after lap; the bike is quite different with the wet set-up on but I was able to adjust to that and – despite a small setback in the first half which cost me a couple of places – I was able to run consistently and gather some more experience. My goal was to finish the race – we got really close to it, but unfortunately we had to retire with less than two laps to go. It’s a pity, really, but there’s another race tomorrow to make it right. Davide rode a brilliant race. It was clear from Superpole already that he was feeling comfortable with the bike in the wet, but obviously the drying asphalt added a further challenge to the race as the laps went by. Eighth place is a good result – maybe it could have been even better but we’re definitely happy with his performance. His comments were again positive and that shows that we’re working in the right direction. Too bad for Jake’s retirement, but unfortunately the gear-shifting issue he experienced did not allow him to finish the race. He did a good race nevertheless, especially if we consider that it was his first race in wet conditions with Pirelli tyres and this version of the Fireblade. He keeps improving, so I’m looking forward to seeing what he’ll be able to do tomorrow. KRT rider Jonathan Rea won an unprecedented third FIM Superbike World Championship title in succession after a peerless display of front running in a wet first race at Magny Cours in France. No other rider had won three WorldSBK titles in a row before today. Tom Sykes (KRT) overcame recent injury and treacherous track conditions to finish third in the 21-lap opening race at Magny Cours. The Pata Yamaha Official WorldSBK Team secured two positive results after putting in maximum effort in tricky conditions on Saturday at Magny-Cours, round 11 of the 2017 FIM Superbike World Championship. Alex Lowes rode to a solid fifth-place finish in a wet Race 1, enjoying some superb battles along the way on a difficult drying track. His teammate Michael van der Mark had a crash on lap 2 but remounted and charged his way sensationally through the field to secure ninth at the chequered flag. Lowes finished Friday's dry practice in ninth overall, but only two-tenths off his teammate in second in one of the closest opening days of the season. On Saturday morning, the rain poured down in Magny-Cours but Lowes used FP3 to find a good wet setup with his R1 and in SP2, in typical style, he pulled out a great lap to qualify in fifth for Race 1. The rain had stopped and the sun came out just before the race, although everyone stuck with wet tyres, but when the lights went out he did not have the best of starts and was in seventh and behind his teammate van der Mark by the first corner. Responding brilliantly, the 27-year-old enjoyed a great battle in the early laps with his teammate, passing him at Turn 5 on the second lap and not looking back. Next up was Leandro Mercado and then Chaz Davies as Lowes continued his charge through the field and made his way up to third by lap 6. The damp track made conditions extremely tricky and Lowes battled hard, with first, Marco Melandri and then Leon Camier, before settling into fifth. Determined to secure a good result after a tricky weekend in Portimao, the British rider rode consistently well to bring his R1 home in a rather lonely fifth to secure 11 vital championship points, which means he remains fifth in the standings with 180 points. Lowes will start Sunday's Race 2 from the middle of the front row in second position and with the forecast saying it should be dry, he is hoping to be able to fight for his third podium of 2017. For van der Mark, unfortunately, there was an issue in SP2 that meant he could not extract the maximum performance from his Pata Yamaha R1, which saw him qualify in tenth. When it came to the race, van der Mark had a blistering start, passing his teammate and moving up to sixth by Turn 1. He then passed Xavi Forés for fifth and became embroiled in an excellent battle with Lowes on the second lap. Passing each other a number of times, van der Mark just got on the throttle a little early attempting the cut back on his teammate at Turn 5 and lost the rear. Luckily there was no major damage to his Pata Yamaha R1, with the 24-year-old managing to remount and re-joining the race, albeit in 19th place and five seconds behind the man ahead of him. Undeterred, the 2014 Supersport World Champion got his head down and started a sensational charge through the field that saw him overtake nine riders in the next six laps. With some clear track ahead of him, van der Mark settled into a good rhythm and focused on securing the best result possible. With four laps to go, he managed to catch and pass Chaz Davies for ninth to cap off a simply astounding comeback, in the process securing seven championship points. This result means he remains sixth in the overall standings with 173 points, seven behind his teammate and 17 ahead of Forés in seventh. Van der Mark will line up for Sunday's Race 2 on the second row in sixth, confident of his pace whether it is going to be wet or dry after his brilliant ride in Race 1 and the blistering pace he showed to finish Friday's practice sessions in second overall. The Pata Yamaha Official WorldSBK Team are in action at 9:30 am local time in Magny-Cours on Sunday for Warm Up, with the 21-lap Race 2 scheduled for 1 pm. Check out the full race results. "The race was a strange one! It was getting drier and drier as the race went on, which made it very tricky. I have always struggled here at Magny-Cours in the wet, so I am pretty happy to have finished in fifth. I had a good battle with my teammate and a few riders at the start, but then it became quite a lonely race towards the end. That can actually be harder than battling in a group in the wet, so I just focused on being as consistent as possible. I hope the sun comes out for tomorrow's race but whatever happens, I will be ready to give it everything from the front row!" "We had a bit of an issue in SP2 which meant I could not go as fast as I would have liked, so I had to start from tenth on the grid. Luckily, we found out what the problem was and I had a pretty good start during the race. I passed a few guys straight away but I was struggling on corner exit with the rear spinning. I thought it was because the tyres needed to warm up but after 3 laps it was still an issue and into the hairpin, I was a bit too aggressive and lost the rear. It was a small crash, luckily, the bike was okay but I had to comeback from pretty much last place! I had a good feeling with the bike but with the rear spinning, I could not make any speed. I had to fight back from 19th and was making progress lap after lap, catching quite a lot of people, so I am happy to have finished in ninth after a crash. We just need to find some improvements in the setup because I feel really good but could not make up any time coming out of the corners. Hopefully, tomorrow will be dry and I will get to start from the second row, plus I was fast in the dry on Friday. It will be challenging for everybody because no one has really done a long run, but I am looking forward to Race 2 whether it is wet or dry!" "A wet race at Magny-Cours is always very challenging, there is so little grip, demonstrated by the fact the lap times were around 20 seconds slower than in the dry. It makes it very complicated for the riders to understand how hard to push. There were so many accidents in FP3 and qualifying earlier, our guys did well to come through the sessions and qualify in strong positions for the first race. Following a disappointing Portimao weekend, Alex needed to finish well without taking unnecessary risks and, he rode a very strong, solid race after a great battle with Michael in the first couple of laps to finish in fifth and score good positive points. The mistake Michael made at Turn 5 is a very easy one to do but we were fortunate that the R1 was relatively unscathed and that Michael was able to pick the bike up and mount such a positive charge through the field. It was a very unusual race, it is not often that the gaps are so big, but let's hope there is the chance of some dry weather for tomorrow so that Pata Yamaha and the whole WorldSBK grid can ride to the limits and put on a show!" Despite losing a handful of places at the start, Giugliano managed to stay in touch with the leading group but eventually had to run wide to avoid Eugene Laverty after the Irishman highsided at the exit of turn 15. The former STK1000 Champion re-joined at the back of the field in 18th place, from where his steady recovery began. In the final part of the race, the 27-year-old from Rome was able to further improve his speed and showed a top-10 rhythm as he went first past his team mate Gagne on lap 17 for 14th place. He then overtook both West and Andreozzi to seal 11th place at the chequered flag after setting his fastest time of the race on his third-last lap. It’s been an unlucky race, because I feel I had the pace to be fighting for a top-6 finish. The realistic goal before the start was to finish between 8th and 11th, but we turned out to be quicker than we expected. It was hard to push when I found myself at the back of the field, because even though I knew I had to make up ground, I was riding on my own so I didn’t know how wet it was on different parts of the circuit and how conditions were evolving throughout the lap. We put together a good comeback, we made some passes and we showed a good pace, so I think there’s a good synergy developing between the bike and myself now. The guys have done an amazing job: I feel that the bike is improving a lot, and that was the reason I was chosen in the first place so I’m happy. The top speed was also excellent today. Obviously there is still a lot to improve, but things are going in the right direction. The big thing for me today is that, unlike MotoAmerica, the flag-to-flag rule means that even if it’s spitting rain, you can still race on slick tyres. This for me was a completely new scenario, so it took me a while to figure out how much I could push in these conditions. Towards the end, I started going faster and faster and I even set my personal fastest time of the whole weekend on the very last lap. Twelfth place is not bad, but I feel I had the potential to do much better today. I’m happy with what I’ve learned and that I was able to improve outing after outing and race after race. I want to thank the whole team because it’s been another amazing experience and I had a lot of fun. It was a very interesting second race, especially given the tricky and unpredictable conditions the whole field encountered today. Davide was riding well until he had to take an unwanted trip onto the gravel in order to avoid Eugene when he fell off. This setback made him lose touch with the group fighting for the top-10, which is a shame because it looked like he had the pace to get in the mix up there. He made a good comeback nevertheless so we are happy with this performance. It was the first time for Jake to ride on slicks with rain coming down, because MotoAmerica sporting rules are different in that regard. Once he figured how to ride in these conditions he really improved his pace, so the question mark is on how much more competitive he could have been otherwise. We really enjoyed working with him again. 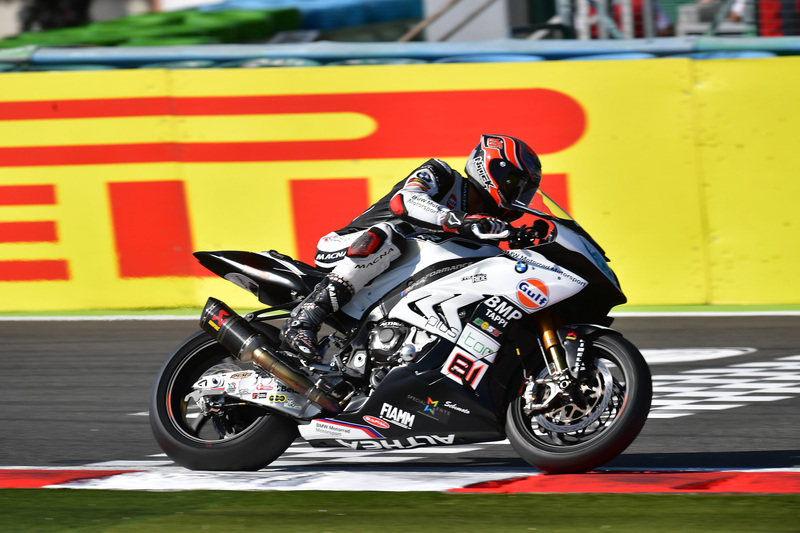 The eleventh World Superbike round has concluded today at the French track of Nevers Magny-Cours and for the Althea BMW Racing team it was all about the recovery, with Jordi Torres finishing in eighth place, Raffaele De Rosa tenth. Superbike - Race 2 – with light rain falling in certain sections of the track, Torres and De Rosa got away well from 20th and 21st place respectively, immediately making up several positions each. During the course of lap two, De Rosa was able to progress from thirteenth to tenth place, while Torres positioned eleventh, right behind his team-mate, by lap four. Lapping with similar lap times to each other, Raffaele and Jordi swapped places on lap nine, lying ninth and tenth mid-way through the race. Maintaining a constant pace all the way to the line, Althea BMW powered past the chequered flag in eighth place with Torres and tenth with De Rosa. With two championship rounds left to run, Torres retains ninth place in the standings with 140 points while De Rosa has 45 points, and positions 16th. One day after Jonathan Rea (KRT) had clinched the Riders’ title in the FIM Superbike World Championship Kawasaki Racing Team took the Team’s championship too, after a dramatic second race at Magny Cours. Tom Sykes (KRT) finished seventh after a gritty performance in the second 21-lap race in France but new champion Jonathan Rea (KRT) was forced out after his footpeg clipped a fallen rider’s bike and broke off, also injuring his right foot. Entering the pits for bike repairs and a new race boot, he was eventually forced to retire in pitlane. Sykes had finished the first lap in fifth position, after a third row start, which was required under the new reverse grid rules that operate in WorldSBK. Tom gradually lost ground as he lost rear traction and was to finish seventh, unable to reach the podium level he had shown in race one due to a less than optimum tyre choice today. Carrying left hand injuries from a heavy crash that made him miss the previous races in Portimao, Sykes still battled hard to the finish well and maintained his overall second place in the championship points. The race was a difficult affair for all, as the threatening rains arrived in a very light form, and slowly got heavier as the laps counted down. With two rounds and four individual races remaining this season Rea and Sykes have amassed enough points between them for KRT to add the a third Teams’ Championship to Rea’s third Riders’ title win in succession. The battle for the Manufacturers’ crown will go forward to the next round at Jerez de la Frontera, with racedays on 21st and 22ndOctober. The Pata Yamaha Official WorldSBK Team delivered a stellar performance in Race 2 on Sunday at Magny Cours, round 11 of the 2017 FIM Superbike World Championship. Alex Lowes followed up his superb ride to fifth in the wet Race 1, by charging to an incredible second-place finish to record his third podium of 2017. His teammate Michael van der Mark also put on a brilliant show of riding after an excellent fight with Lowes to secure third place and record the Pata Yamaha team's first double podium in WorldSBK. After Lowes' brave ride to fifth in the treacherous wet Race 1 conditions, the 27-year-old lined up in the middle of the front row for Sunday's Race 2. Drops of rain started to fall just before the race got underway but this had no effect on Lowes. When the lights went out he got the holeshot into Turn 1 and took the lead. Battling with his teammate at the front in the opening stages, Lowesmanaged to open a 0.4s gap and led the way until the fourth lap when Chaz Davies passed him, as the rain became heavier. 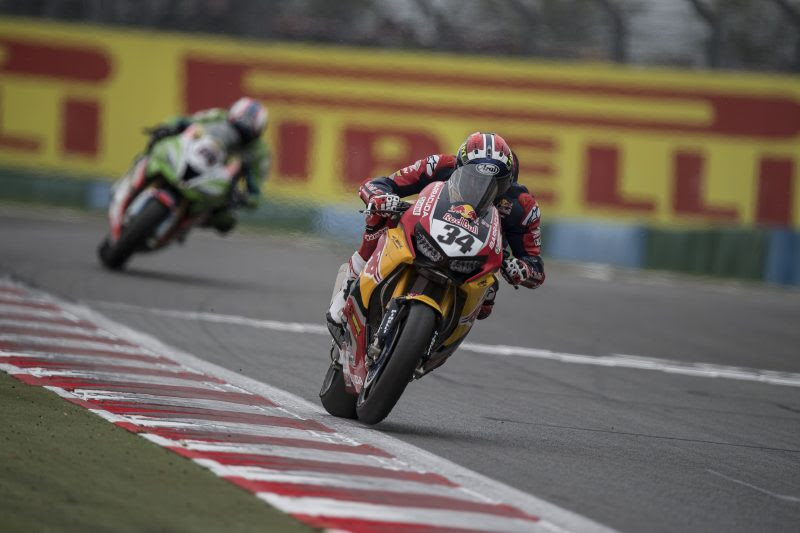 As Lowes settled into a rhythm and began assessing the grip levels in the tricky conditions, he was passed by Leon Camier and dropped down to third, although this was to be short-lived as Camier was forced to retire on lap 10, with Lowes retaking second place. By this point, his gap to Chaz Davies in the lead was over 5 seconds, but the 2013 British Superbike Champion set his sights on closing the gap, putting together an amazing run of seven consecutive laps in the low 1:39s or better, and with two laps to go he was less than three seconds behind the leader. His late race pace was sensational but with the rain getting heavier and the grip levels dropping, he maturely realised that the race win was not on the cards and brought his Pata Yamaha R1 home in second, just 3.006s behind Davies. It was the third time Lowes has stood on the podium in 2017, to add to his second-place finish at Misano and third at his home round in Donnington, and equalled his best WorldSBK result despite the fact he was still feeling the after effects from his Race 2 highside in Portimao. The 20 points he secured means the British rider remains fifth in the championship standings but now has 200 points with two rounds remaining in the season. Van der Mark had shown incredible fortitude in Saturday's Race 1, remounting after a crash and storming through the field from last to secure ninth place after a brilliant comeback. It got even better in Sunday's Race 2 as the 24-year-old, lining up in sixth on the grid, got an amazing start, riding around the outside of a number of riders through the first two corners to blast to the front of the field and do battle with his teammate for the lead. He crossed the line after the first lap in third, just behind Lowes, but with the conditions worsening, he decided to focus on finding his own race pace. He dropped to fourth briefly as he built his confidence on the slippery track but as the race progressed the Dutch rider's pace improved dramatically and he was back in third by lap ten and starting to close the one-second gap to his teammate Lowes in second. Just like his teammate, he put together an incredible sequence of laps in the low 1:39s, showing brilliant consistency and by lap 15 he was right on the back wheel of Lowes, battling for second and chasing down Davies in the lead. Then, as the rain got heavier and track conditions worsened he had a couple of big moments and, unfortunately, he just did not have the grip left in his tyres to push any harder. Maintaining his pace right to the end, van der Mark crossed the line in third, just 1.550s behind his teammate, to record his second rostrum in the last three races - after his second-place finish in Race 2 at Portimao - and secure the Pata Yamaha team's first ever double podium in WorldSBK. The 16 points he received now sees the 2014 World Supersport Champion sixth in the overall standings with 189 points, just 11 behind his teammate Lowes. This superb performance by the Pata Yamaha Official WorldSBK Team over a challenging weekend, with ever-changing track conditions, demonstrates the progress of the project since Yamaha's return to the WorldSBK championship in 2016. They now head to round 12 of the 2017 FM Superbike World Championship in Jerez on the 20th-22nd of October full of confidence and ready to fight for more podiums. Check out the Race 2 results from Magny-Cours. "Honestly, this weekend has been slightly strange with the different weather conditions yesterday and then today with just that little bit of rain and difficult grip levels. I think it is a perfect example of how well the Pata Yamaha Team are working because, although we are still looking to close the gap to Kawasaki and Ducati in terms of out-and-out performance, whenever there is a chance to take advantage of a 'different' situation, we have been there. It is a fantastic day for the Pata Yamaha WorldSBK Team! I am really happy to share the podium with Michael because, like I said, the team have been performing so well and I am looking forward to the rest of the season now! I try to do the best I can in every race and my goal is to try and challenge these guys every week, that is the target and what Yamaha employ me to do. I think if I take a step back, I can be quite happy overall with the season up to now, but as a rider, you always want more and there are some events where more could have been achieved. I still feel that there is still plenty more to come from myself and the R1 and we will keep working hard to improve!" "It is my second podium of the season and I am so happy! Yesterday in the first race I was a bit unlucky but I scored some points. Today it was good to start from sixth on the grid for Race 2. I had a really good start and fought my way to the front but it was really difficult as there were some big drops of rain falling, so it was difficult to know what to expect. It was good for me to follow the other guys because I could see what they were doing. I was pushing quite hard but I also didn't want to crash, it was so difficult but I tried my best and managed to stay on the bike. I just focused on finding my pace and it was similar to the guys in front. Towards the end of the race I closed the gap to Alex, but then I made some small mistakes and I just didn't have the tyres anymore to attack again. It was a little bit of a weird race but Alex and I were really strong today and it was great to share the podium with my teammate. It was not the easiest race to control but in the end, we were both on the podium and that is what we aim for. We have made a good step forward and this result, along with Portimao two weeks ago, shows we can fight for the podium at every round. I am really happy and I look forward to Jerez already. On Friday I was really fast immediately, so I think we have found a good base with the R1 now and this has given me a lot of confidence. Jerez is a special track for me, and one I really like. We cannot wait to go there!" "This afternoon's race was another typically complicated Magny-Cours one, but the ultimate result for both Alex, Michael, and the R1 was on pure merit and another indication of the step-by-step progress that the project is making on all fronts. Alex has struggled with his starts over the last couple of races, so to secure the lead from the front row was great to see, and this was backed up by an incredible start by Michael from the second row. There were stages of the race where it was difficult for all the riders to know how hard to push but as Alex found his rhythm and needed to respond to Michael's pressure in the latter stages, the true pace was evident and doing consecutive laps in the 1:38s actually moved us a lot closer to Chaz Davies in the lead. Second place for Alex, backing up yesterday's very solid ride in the rain, is just rewards for his efforts following a difficult Portimao event and will give him the confidence to aim for more podiums before the end of the season. As a team, we are also extremely happy with Michaels performance, fighting hard to get into the podium group and closing on Alex to challenge for second place. As Alex pushed even harder, Michael had a couple of moments in the tricky conditions and it is a sign of his mature riding mentality that he decided to bring his R1 home to achieve Pata Yamaha's first double podium. Congratulations to the riders, the team, and to Yamaha!"